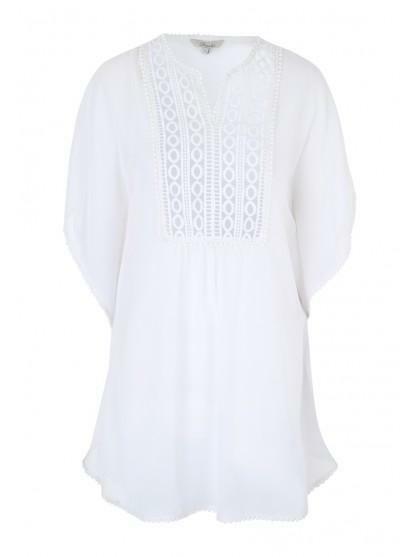 Opt for a chic beach cover up with this women's white lace trim kaftan. 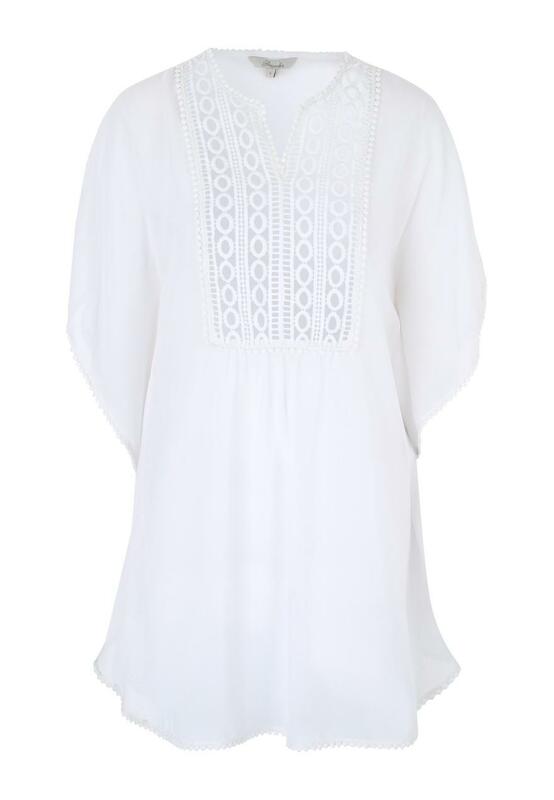 Featuring a v neck and a rik rak trim neckline, hem and sleeves, this kaftan is easy to throw on over a bikini or swimsuit for your journeys to and from the beach. Purchased for a holiday which I've not been on yet.